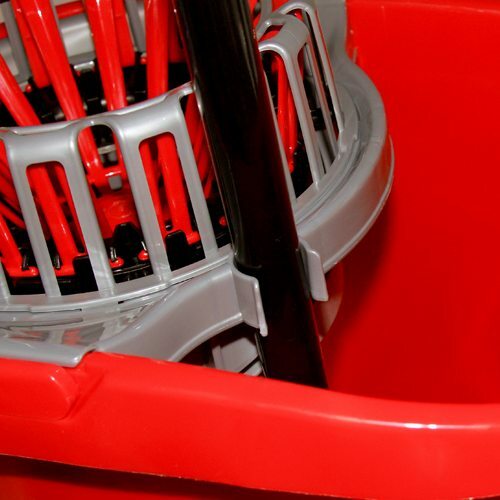 Our new patented Spring Loaded Wringer Bucket is engineered to make the mopping process easy with minimal fuss. 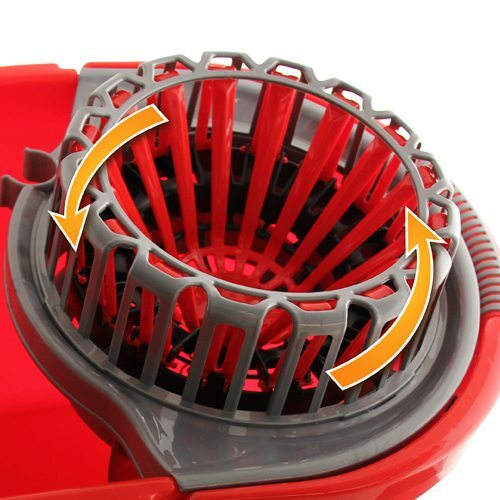 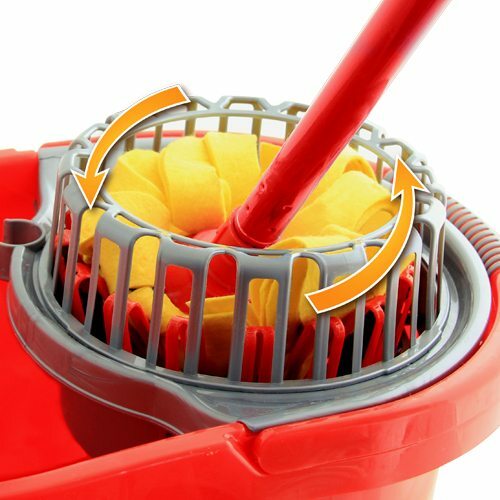 Thanks to the Spring Wring® rotating squeeze mechanism, rinsing and drying the mop head is now requires much less effort compared to other mop buckets. 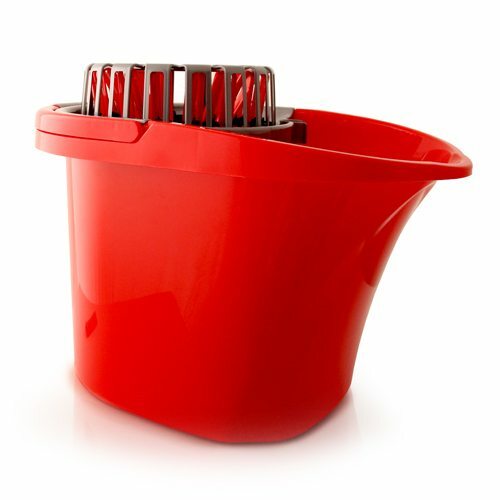 The bucket has a large 15 litre capacity compared to other branded wop buckets with as little as 10 litres capacity.